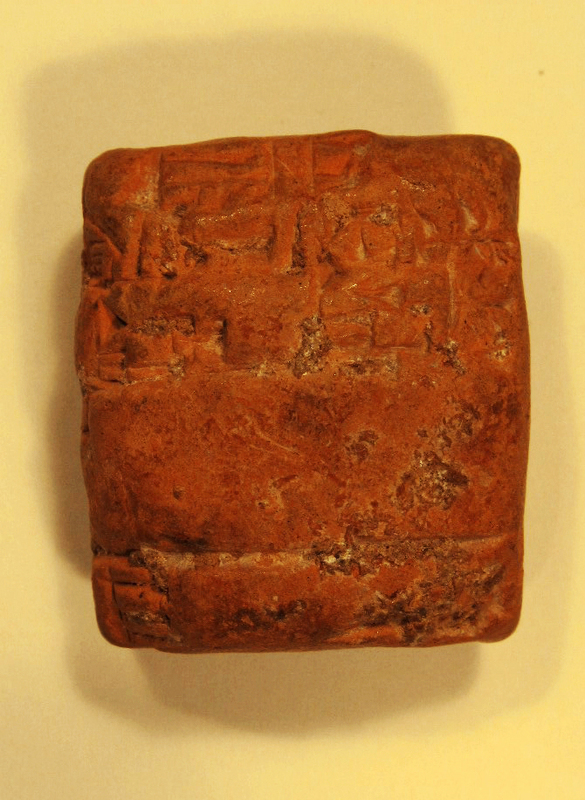 This cuneiform tablet is dated to the Ur III period, circa 2100 – 2000 BCE. The tablet is small, measuring about 3.5 cm in height, 3 cm in width and about 1 cm in thickness. It is inscribed on both sides with the cuneiform script, which has been used to render Sumerian. 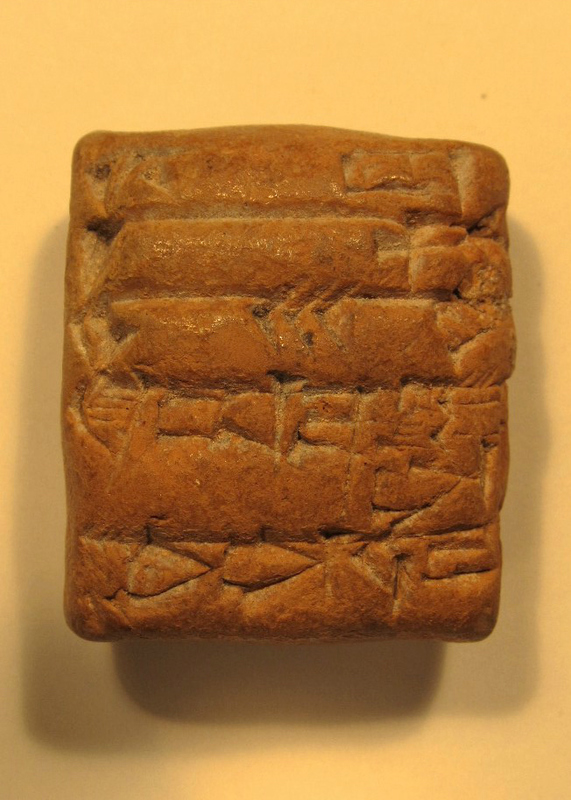 The tablet itself is a receipt for the delivery of livestock and possibly oil. It almost certainly comes from the site of Purzis-Dagan, located in southern Iraq. Check back soon for the transliteration and translation of the tablet.